iPhone 3GS Unlocking - 3 Network UK: [ Time Taken - 3 to 12 WORKING DAYS ] IMPORTAN..
Unlock iPhone 4 - 3 Network UK ( Time Taken - 3 to 12 Working Days)IMPORTANT: WE AIM TO UNLOCK ..
Unlock iPhone 4S - 3 Network UK ( Time Taken - 3 to 12 Working Days)IMPORTANT: WE AIM TO UNLOCK..
Unlock iPhone 5 - 3 Network UK ( Estimated Time - 3 to 12 Working Days)IMPORTANT: WE AIM TO UNL..
Unlock iPhone 5S - 3 Network UK ( Estimated Time - 3 to 12 Working Days)IMPORTANT: WE AIM TO UN..
Unlock iPhone 5C - 3 Network UK ( Estimated Time - 3 to 12 Working Days)IMPORTANT: WE AIM TO UN..
Unlock iPhone 6 - 3 Network UK ( Estimated Time - 3 to 12 Working Days)IMPORTANT: WE AIM TO UNL..
Unlock iPhone 6 Plus - 3 Network UK ( Estimated Time - 3 to 12 Working Days)IMPORTANT: WE AIM T..
Unlock iPhone 6S locked to 3 Network UK ( Estimated Time - 3 to 12 Working Days)IMPORTANT: WE A..
Unlock iPhone 6s Plus locked to 3 Network UK ( Estimated Time - 3 to 12 Working Days)IMPORTANT: ..
Unlock iPhone 7 locked to 3 Network UK ( Estimated Time - 6 to 17 Working Days)IMPORTANT: WE AI.. Estimated Unlocking Time: ASAP (But due to high unlocking demand it can take 5-15 Days)iPhone 4/4S -.. Estimated Unlocking Time: ASAP (But due to high unlocking demand it can take 1-7 Days)iPhone 7 - O2 .. 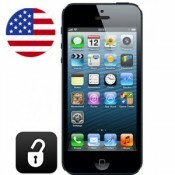 Estimated Unlocking Time: ASAP (But due to high unlocking demand it can take 1-7 Days)iPho.. Estimated Unlocking Time: ASAP (But due to high unlocking demand it can take 5 to 12 Worki..